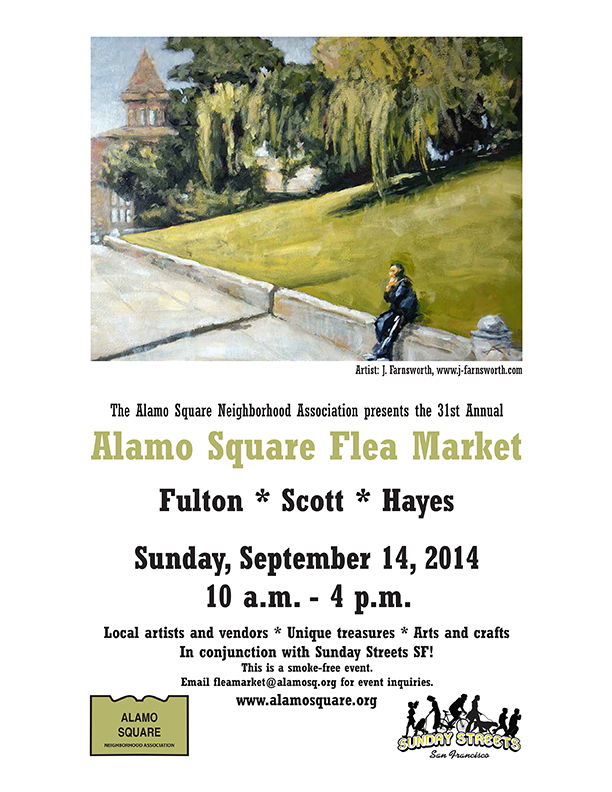 We will hosting our Alamo Square Flea Market this year in conjunction with Sunday Streets! Update: All vendor spaces are sold out! We are looking for volunteers to help us manage the event. Please email fleamarket@alamosq.org if you would like to help out during the day of the event.